Dr Alex Wonhas is a member of the Executive Team at CSIRO, Australia’s national science agency. 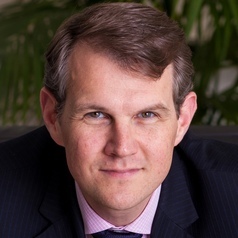 As Executive Director Energy & Resources, Alex has responsibility for about 650 researchers, who work closely with industry to provide science and technology solutions for the energy and resources sector, which is one of Australia's global competitive advantages. CSIRO's work in the sector aims to enhance the productivity and competitiveness of Australia's industry while also enhancing the environmental sustainability of the sector. In his role, Alex has oversight of the Energy and the Mineral Resources Flagships, which cover conventional and unconventional oil & gas; minerals exploration; hard rock and coal mining & processing; low emissions technologies from fossil and renewable sources, electricity grid operations, energy efficiency and community engagement. In addition to a strong academic R&D background, Dr Wonhas also possess a deep understanding of the private sector, especially in resources and energy. In his former position as a consultant at McKinsey & Company, Dr Wonhas spent several years advising national and international energy and resources companies on questions of strategy and operations. He was also one of the co-authors of McKinsey’s carbon abatement cost curve for Australia. Alex is also a frequent public speaker on energy & resource matters and serves on a range of energy and resources related advisory committees and boards.